Samira Abbassy was born in Ahwaz, Iran and moved to London, UK as a child. After graduating from Canterbury College of Art, she began showing in London. In 1988 she moved to New York to help establish and found the Elizabeth Foundation for the Arts Studio Program, where she currently has a studio and is a lifetime board member. 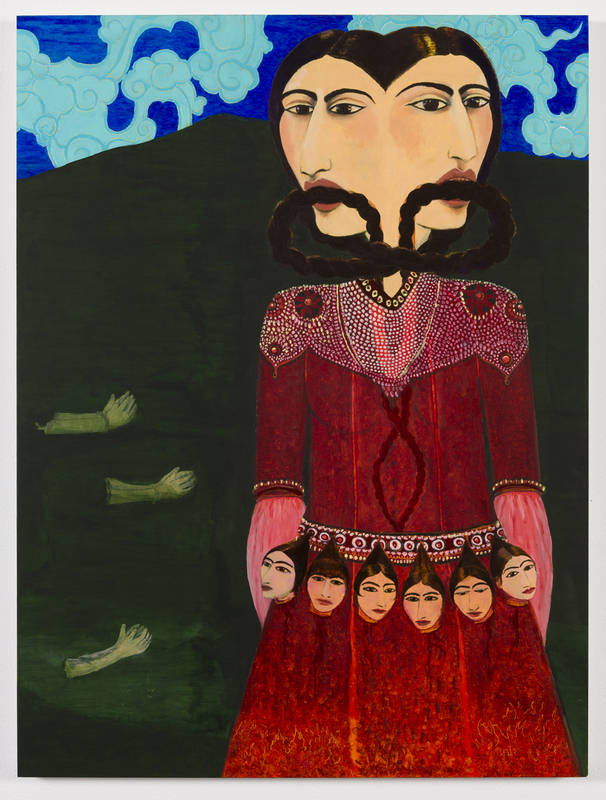 Her work is shown internationally and has been acquired for private and public collections, including: the British Government Art Collection, The British Museum, the Burger Collection, the Donald Rubin collection (Rubin Museum, NY), the Farjaam Collection, Dubai, the Devi Foundation, India & the Omid foundation, Iran. Her NY solo show in2007 was reviewed by Benjamin Genocchio in the New York Times and by Ariella Budek in Newsday. In Sept/Oct 2012, the Financial Times lifestyle section will print an interview with Abbassy by Nisa Qasi. Her awards include: a Yaddo residency fellowship in 2006, a NYFA in 2007 and a Joan Mitchell Painting/Sculpture award in 2010. In April 2012 she was the artist in residence at the University of Virginia and has recently been nominated for the Jameel Prize. In 2013 and 2014, her work was presented by Todd Hosfelt Gallery at The Istanbul Art Fair. In September 2014, Abbassy's solo show "Conflicting Narratives" at B2OA Gallery in Chelsea presented four sets of the Eternal War series. The second set of the war series will be shown at the Metropolitan Museum of Art from February 2015. Other upcoming shows in 2015 include a solo show at XVA Gallery in Dubai, and at Bernstein Gallery, Woodrow Wilson School, Princeton, NJ. Also in 2015, group shows including: The Oglethorpe University Museum of Art in Atlanta, Peabody Essex Museum, MA, and FiveMyles gallery in Brooklyn.